I’m back with another Oregon travel guide. This time its a Bend Oregon travel guide. Central Oregon has a special place in my heart because my husband was raised outside of Bend. We travel there often to visit close friends and family. That said, I hadn’t truly explored Bend. I was excited when Visit Bend wanted to work with Brittany and me to showcase all Bend has to offer. If you remember, Brittany and I recently visited McMinnville and had an absolute blast. 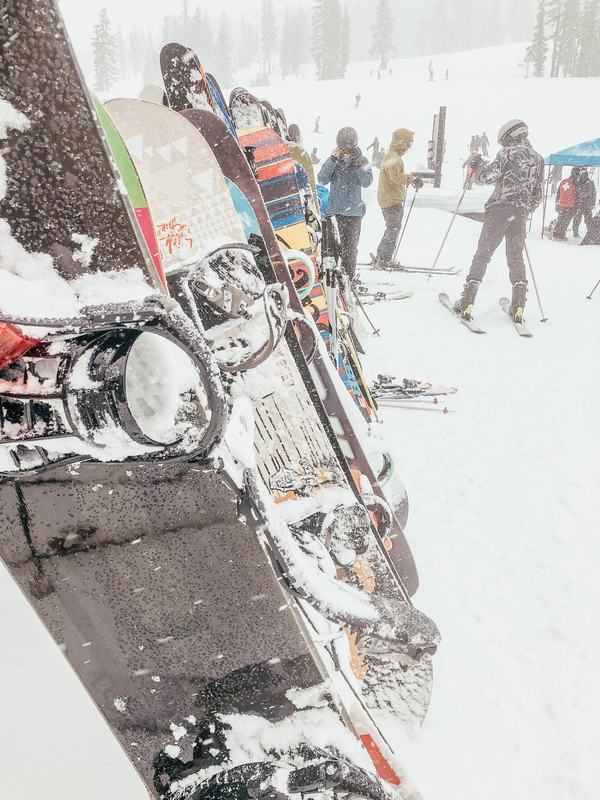 Bend is quite different from the western part of the state, but it has SO many different kinds of activities. 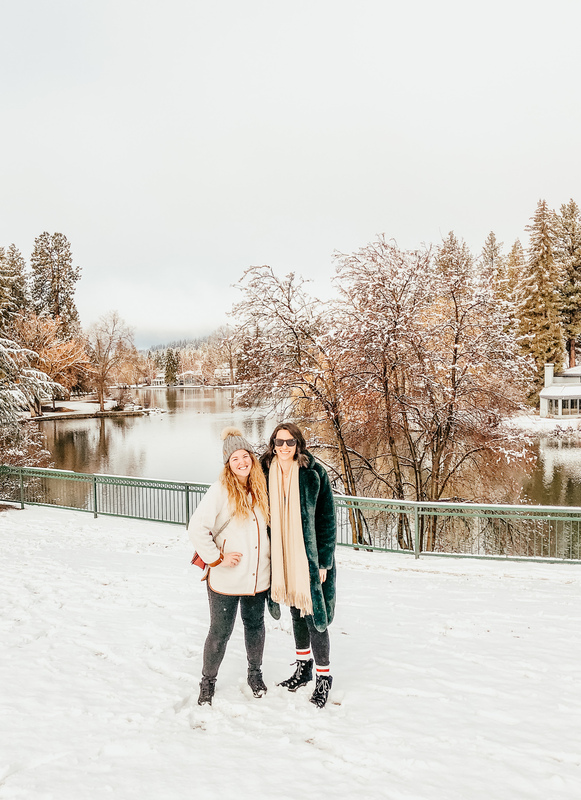 I hope you love this Bend Oregon travel guide as much as I loved my weekend getaway in the beautiful mountain escape. 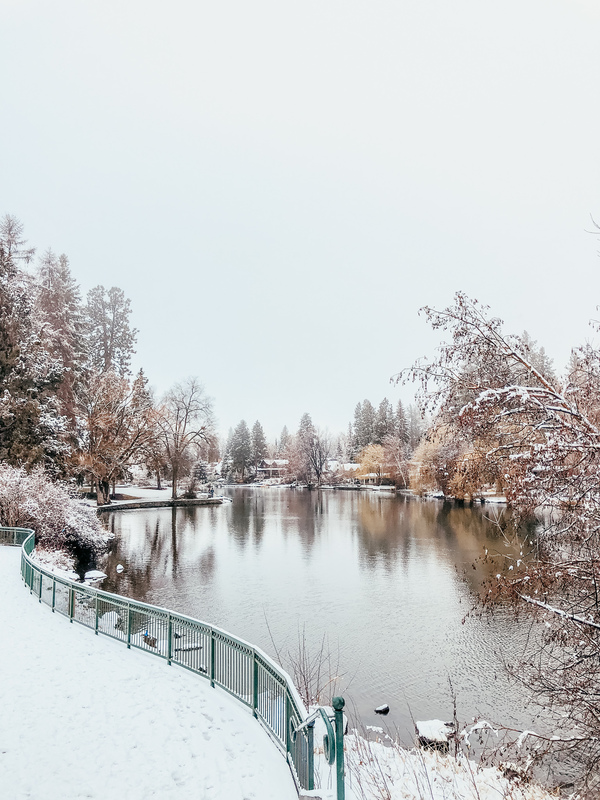 Bend Oregon is a beautiful town located on the Deschutes River in central Oregon. Bend has anything an outdoor enthusiast could want. World class skiing on Mt. 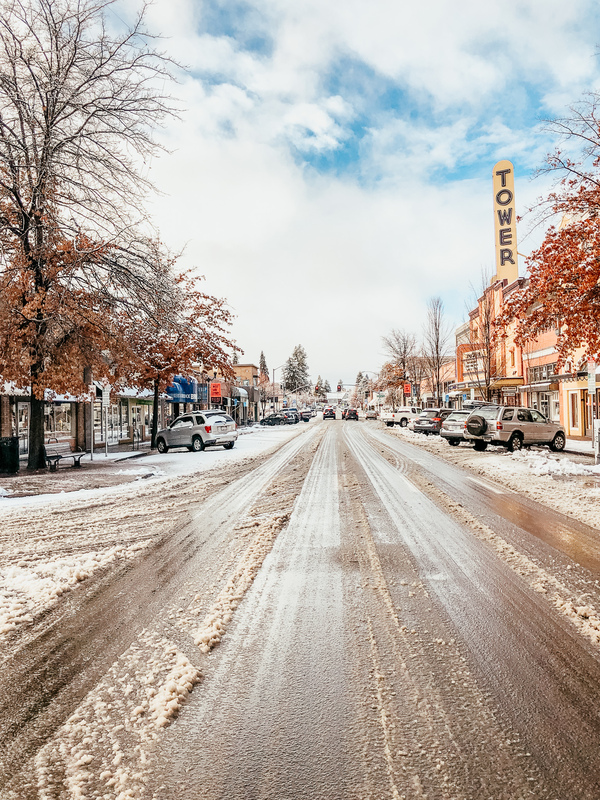 Bachelor is what usually draws people to Bend, but you shouldn’t miss Bend’s growing art scene, incredible food and drink as well as lake and river activities. I was beyond impressed with all of the restaurants, cocktail bars, and breweries. The other thing about Bend that needs to be mentioned is the people. Everywhere we visited in Bend, the hospitality and kindness we felt was exceptional. I had never felt more welcome in a new place as I did in Bend. 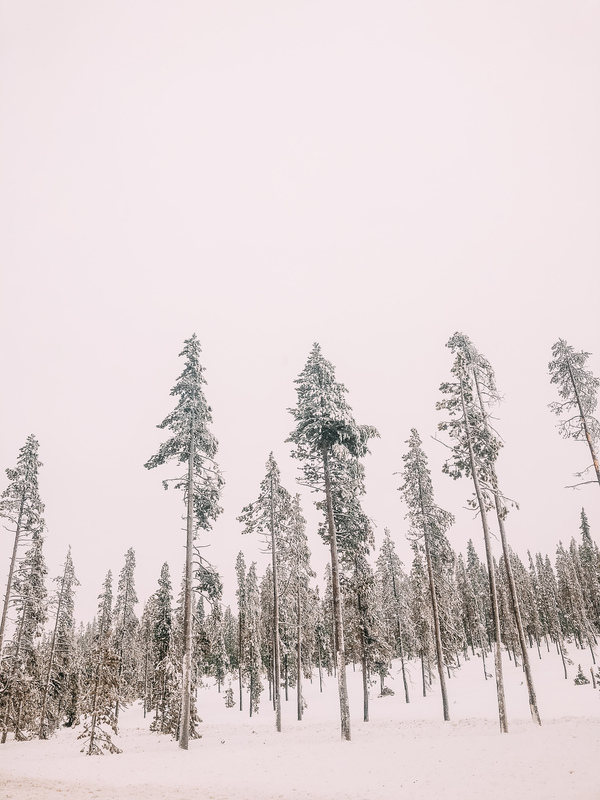 This weekend trip opened my eyes to all the amazing aspects of Bend, keep reading to get my take on the perfect Bend Oregon travel guide. Bend’s food and drink scenes are very similar to Portland. 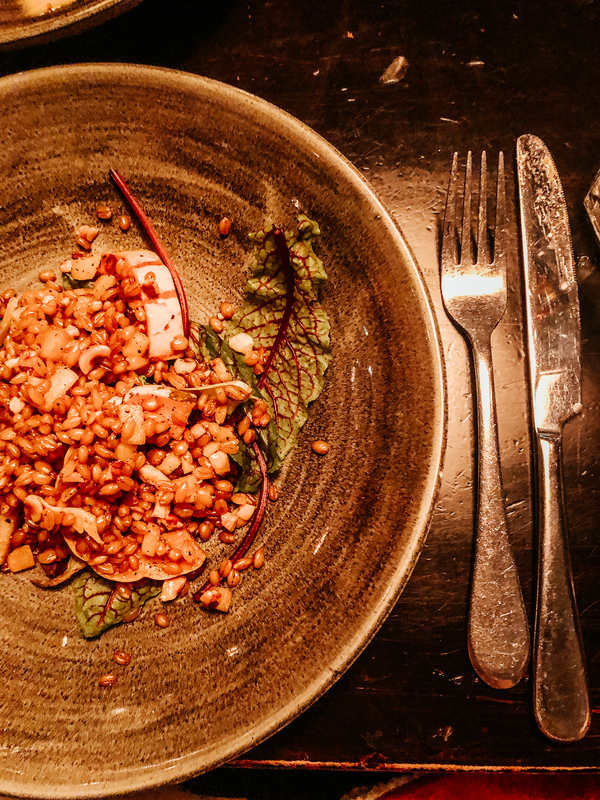 A hyper-focus on local, seasonal, and simple ingredients. 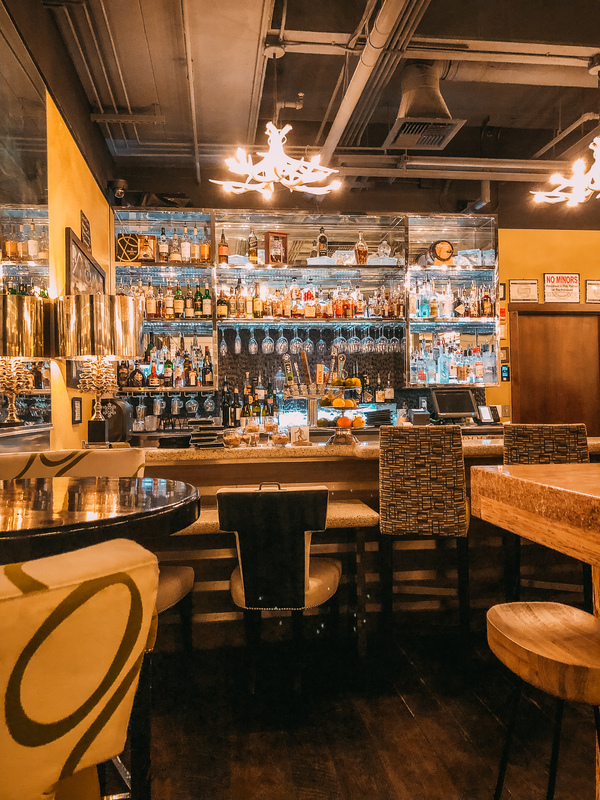 Restaurants all had warm & welcoming staff, innovative menus and inviting atmospheres. 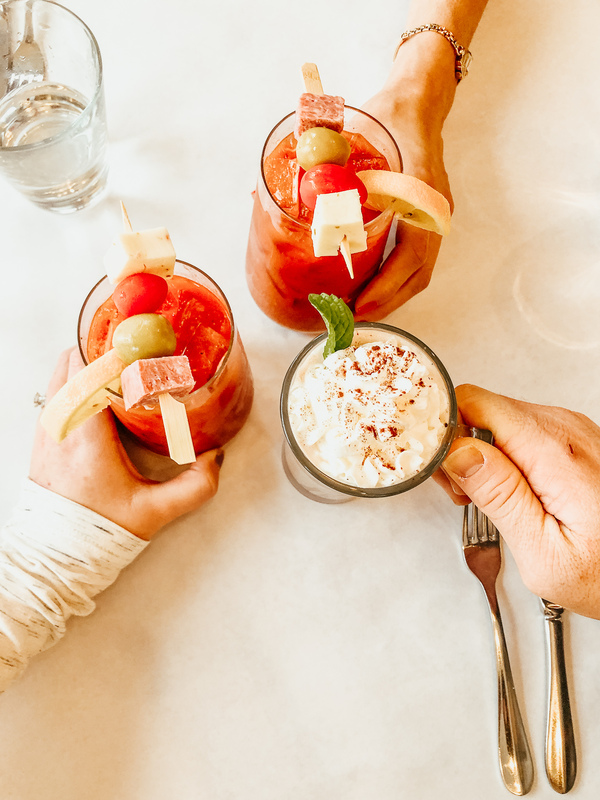 I was so shocked at the options for amazing food and drink in Bend, here are some of my top favorites. 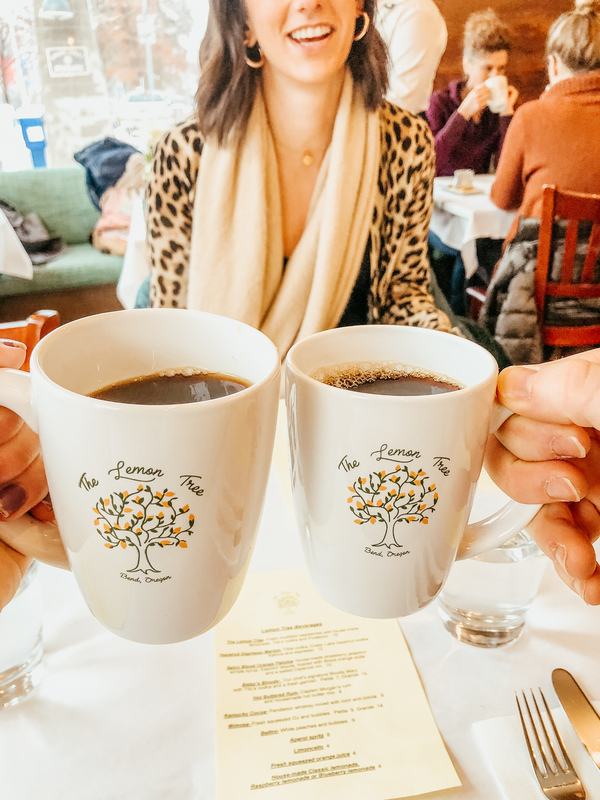 The Lemon Tree: This is a MUST stop in Bend. 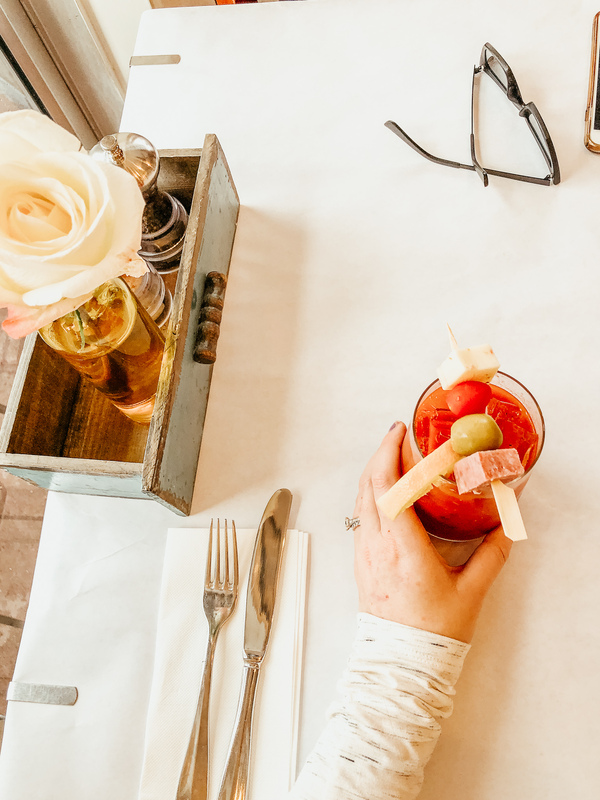 This charming little brunch and lunch spot in downtown Bend. 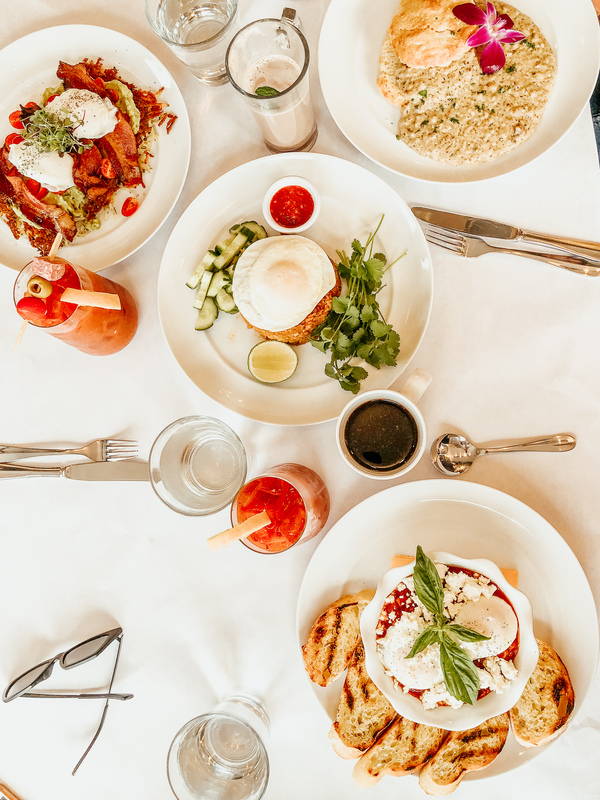 The menu has a mix of tried and true brunch favorites but also some worldly dishes that are worth trying. I enjoyed sitting here watching the snow fall with a brunch cocktail in hand. If you go to one place on the list, this should be it. 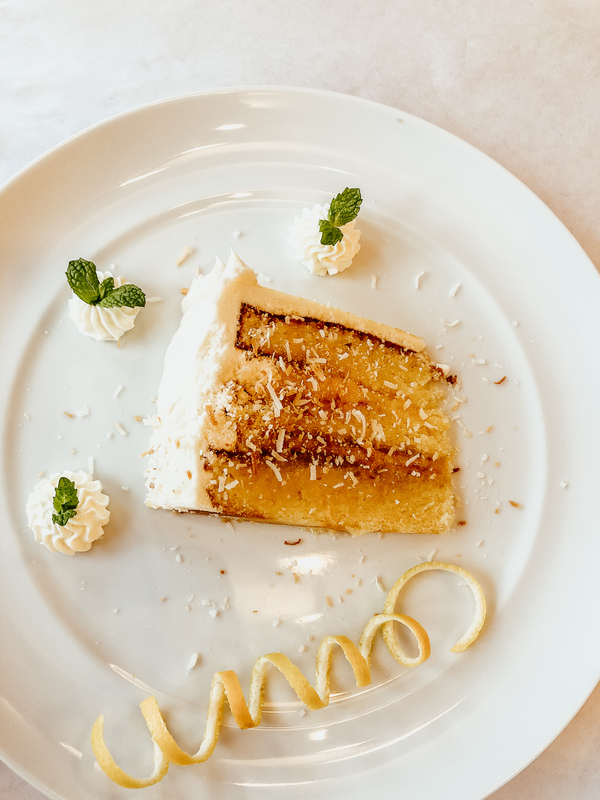 Menu item favorites: bloody mary, Nasi Goreng and the lemon coconut cake! 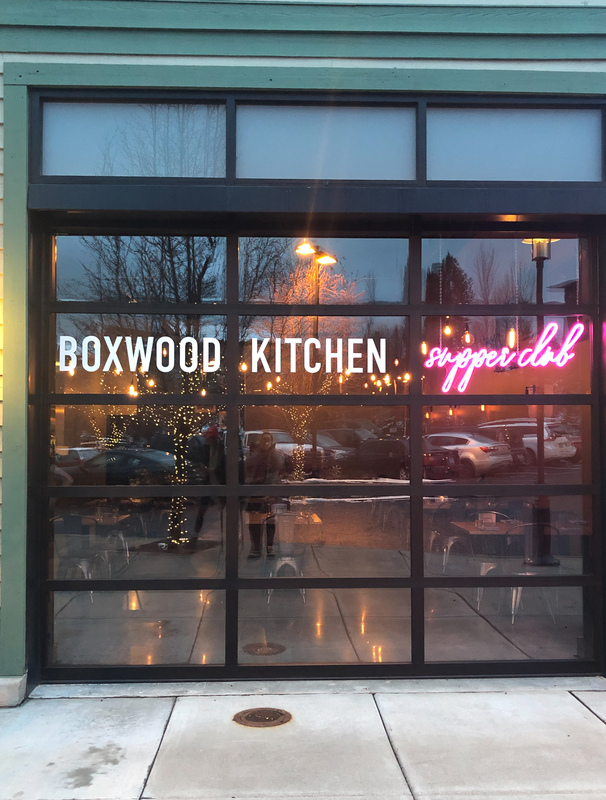 Boxwood Supper Club: This cute dinner spot is located in the Old Mill district area of Bend. While I do prefer downtown Bend, this restaurant is a shining star in the Old Mill. 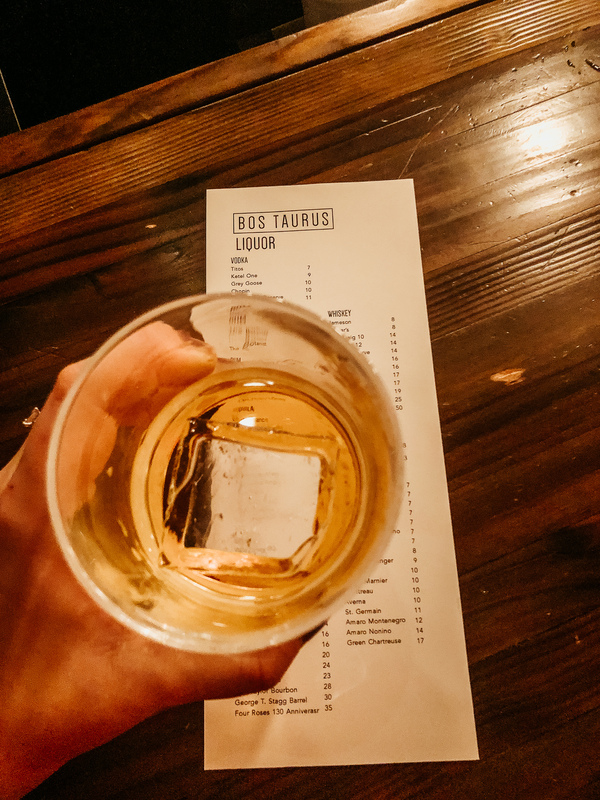 I had a chai old fashioned that was delish! 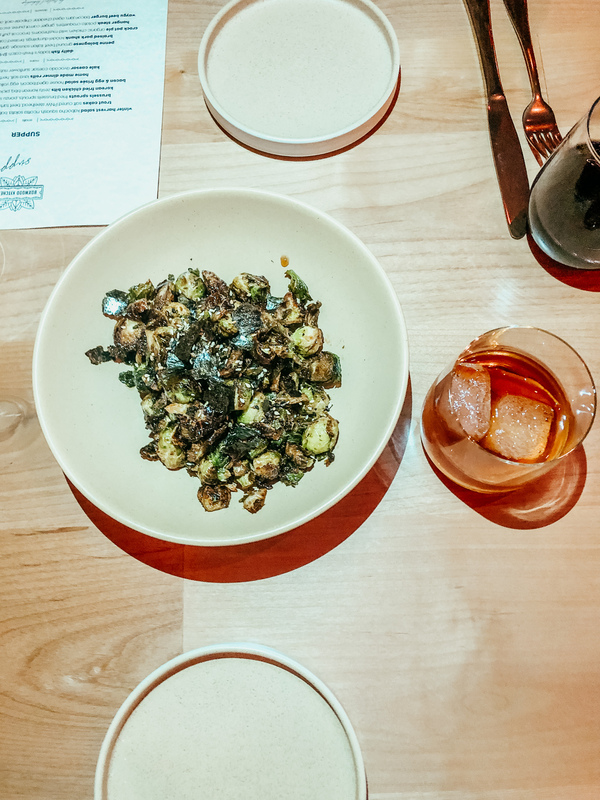 Also, the parker rolls & brussel sprouts shouldn’t be missed. The Drake: Our dinner at the Drake was one of my favorite meals. 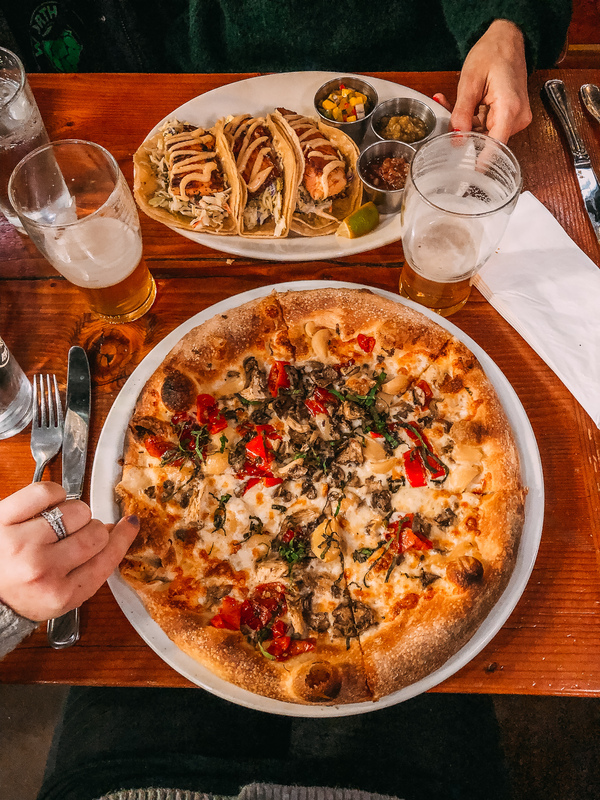 It’s classic Pacific Northwest fare. I loved the local ingredients that were perfectly in season. 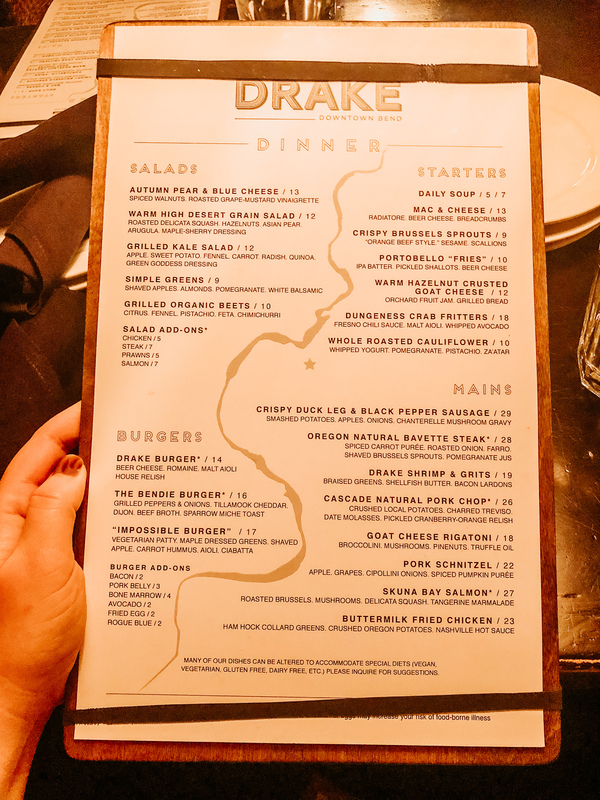 It’s my favorite type of menu, very farm to table feel. They also had a wonderful beer and wine list filled with local options. 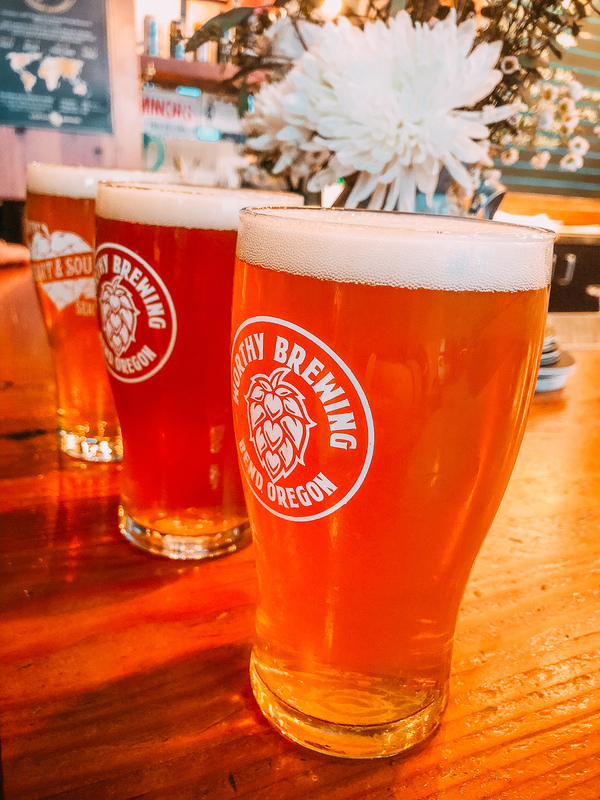 Worthy Brewing: Bend is known for great craft beer and Worthy Brewing didn’t disappoint. 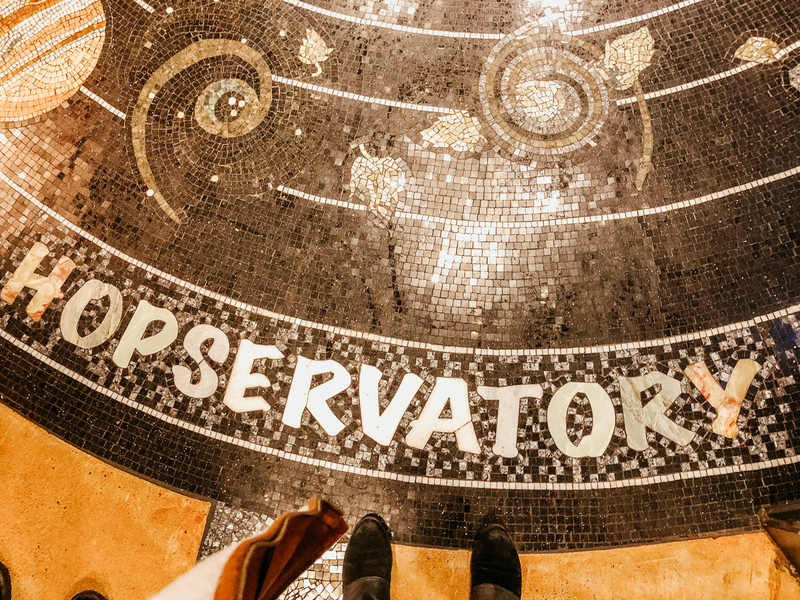 Worthy also has something else to offer, amazing food AND an observatory delightfully called the Hopservatory. They have viewing parties where you can watch the stars, use the incredible telescope and learn all about our galaxy. Did I mention the beer was also fantastic? Worthy also pride’s itself on its eco-friendly mission. They are the only solar-powered brewery on earth! 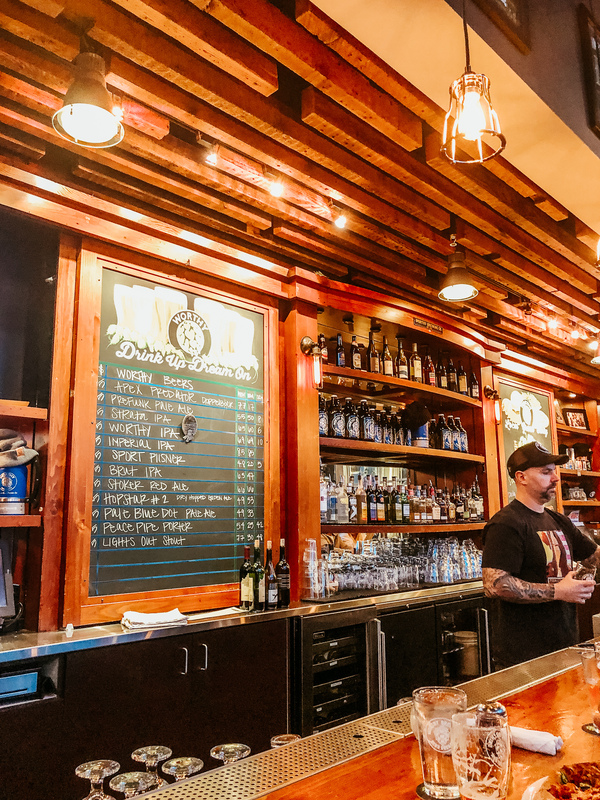 Located on the east side of Bend, Worthy should be added to your list of must-see. 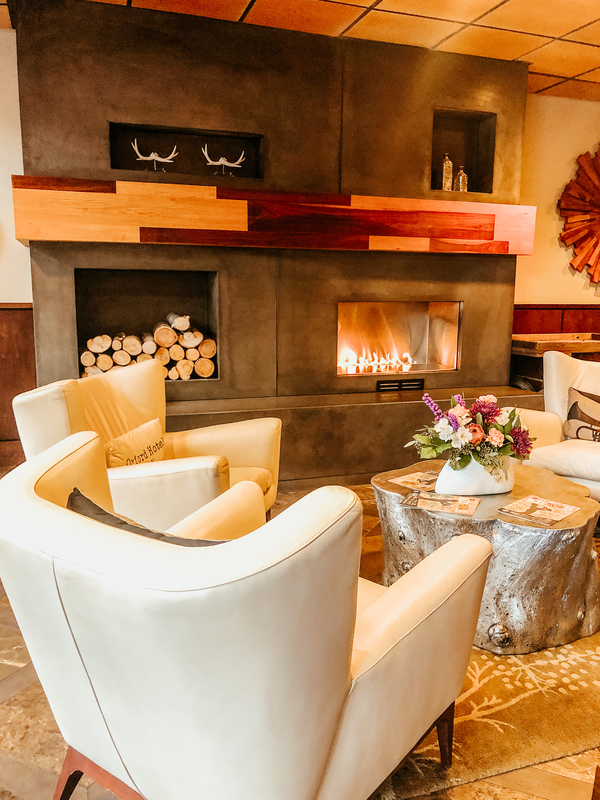 Bend has a lot of options for where to stay. Rent a home via a vacation rental company, or find an airbnb or a chic downtown hotel. We brought out new puppy George on this trip, so we opted for a pet-friendly hotel. I would say its best to choose lodging based on what you are hoping to do while in Bend, but our centrally located hotel was perfect. 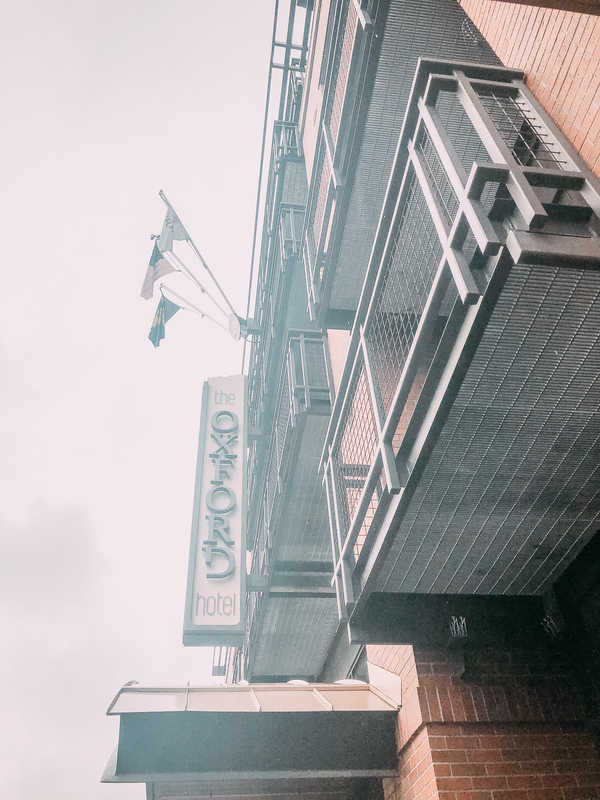 Oxford Hotel: I can’t say enough great things about the Oxford. It was perfectly located to access all of downtown Bend, as well as a short 20-minute drive to Mt. Bachelor. As I mentioned, we also had a pup with us, and I have never felt more welcome to have my dog with me. The staff went above and beyond to make our whole family feel welcome. The 10Below restaurant located in the hotel was also wonderful! I don’t think there is a better option in Bend than the Oxford! 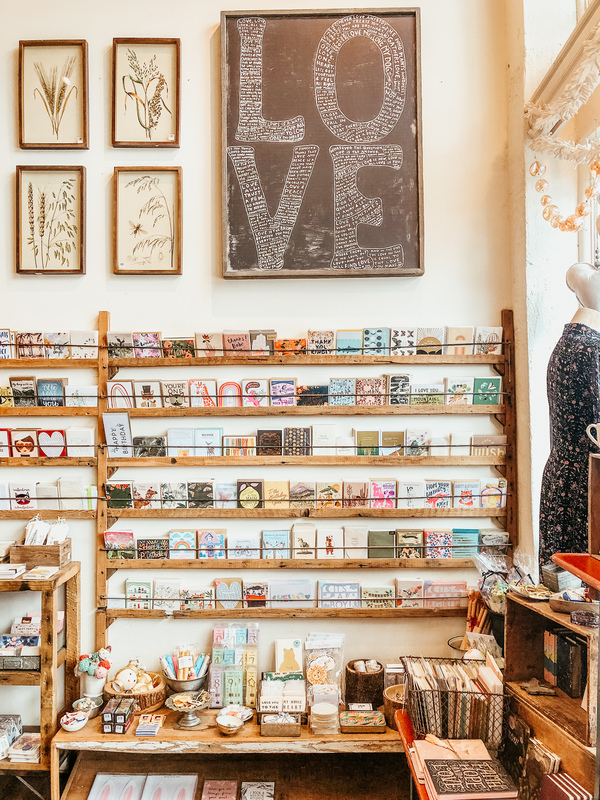 Shopping: Downtown Bend is full of really cute boutiques and shops! 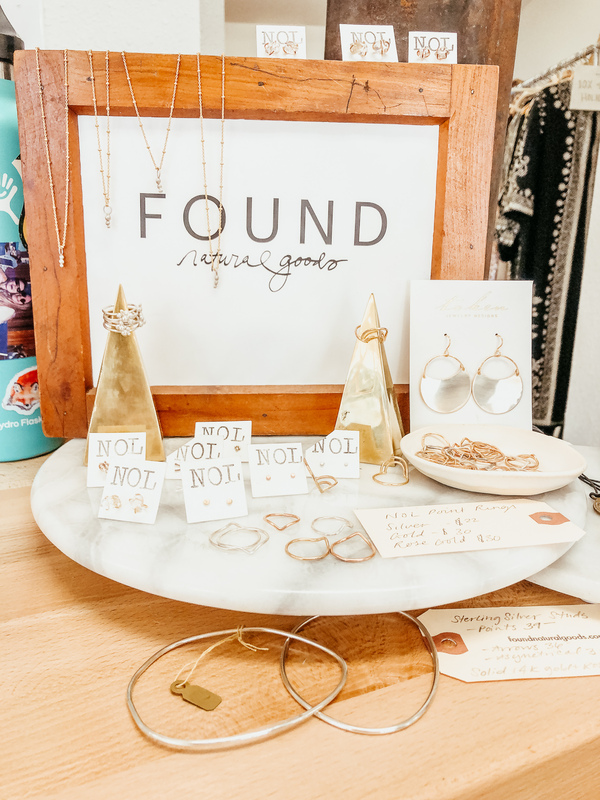 Make sure you spend time walking through downtown and step into the local stores to find a variety of gifts and treasures. My favorites were: Ju-bee-lee and Found Natural Goods. Wanderlust Tours: Looking for the perfect outdoor adventure? Wanderlust Tours is for you. This company offers a variety of incredible outdoor experiences around Bend. 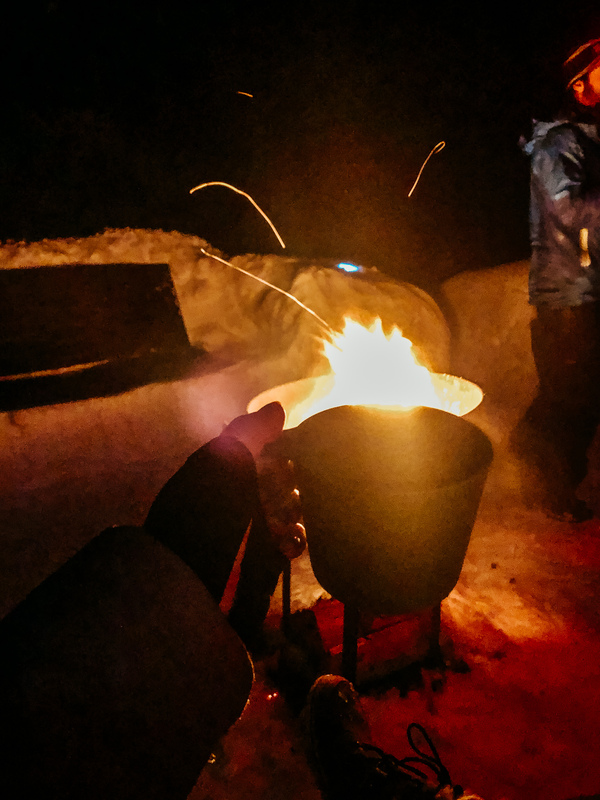 I got to take part in a bonfire tour. 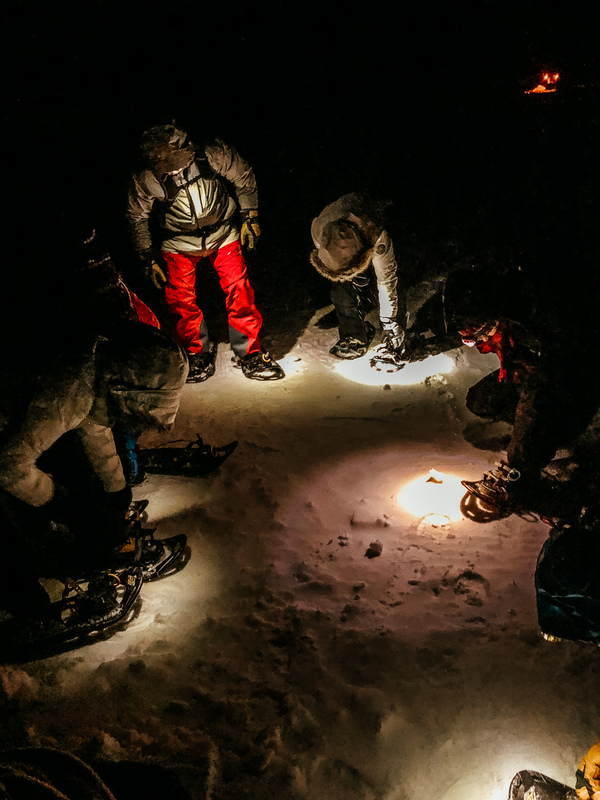 The Wanderlust Tours team took a small group of us out into the wilderness of Mt. Bachelor on snowshoe. 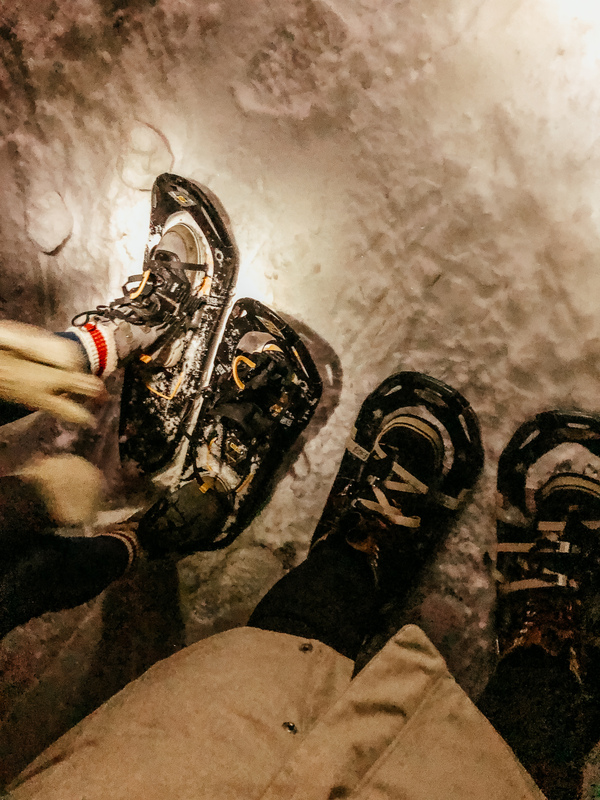 We walked through a beautiful old growth forest looking at the stars and the peace of the forest at night. 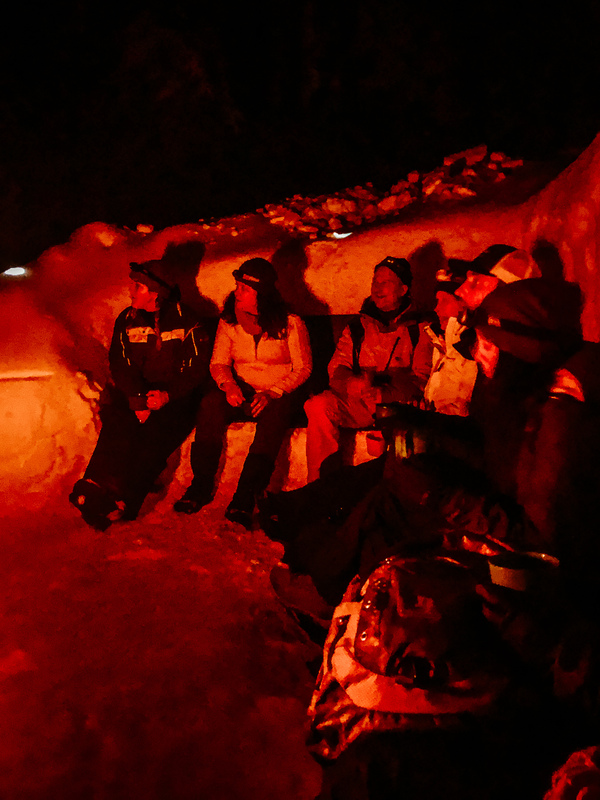 Then our group was led to an amazing bonfire with seating, spiked hot cocoa, and wonderful conversation. Wanderlust Tours offers tours all year round, so make sure you take a peek at what they have to offer during your visit. 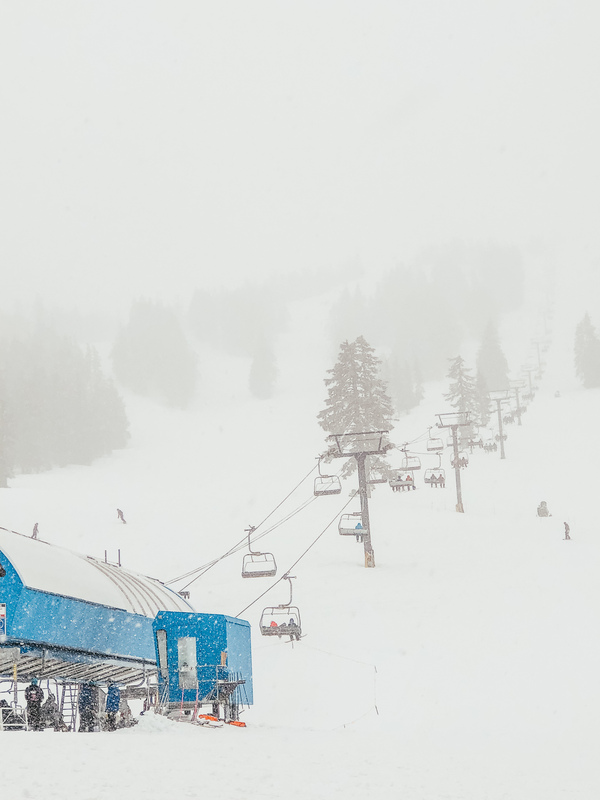 Mt Bachelor: As I mentioned this is probably the biggest draw for tourists coming to the Bend area. Mt. Bachelor is a world-class skiing mountain for beginners to the most advanced skiers. 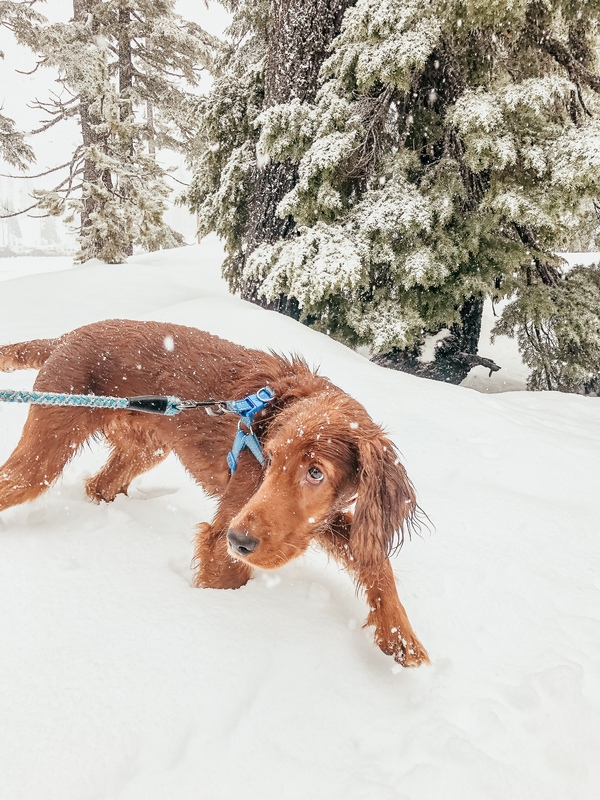 While I’m not a huge skier, I did want to head up to the mountain, check out the lodge and of course, let George romp in the snow. George’s blanket is from Native Instinct Co.
Art Scene: Bend also has a growing and thriving art scene. 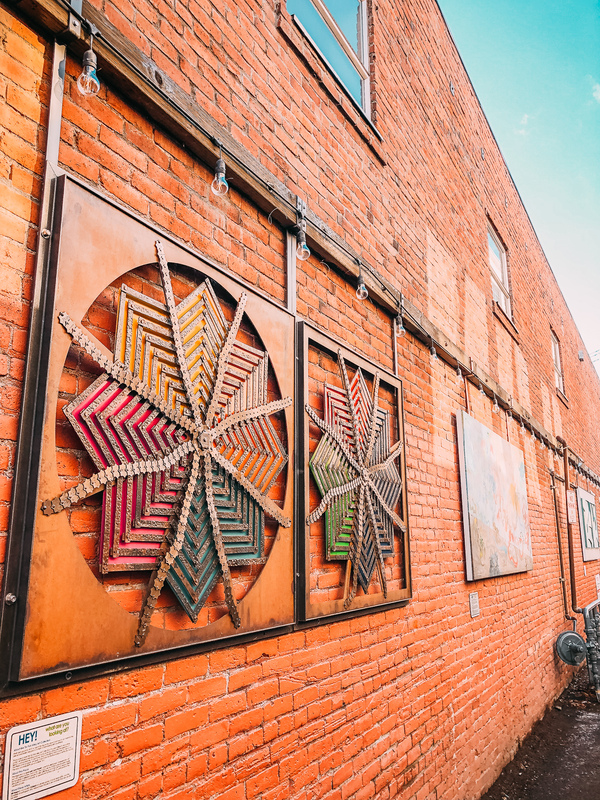 Downtown Bend is has its share of galleries, but you can also find art in unlikely places around Bend. 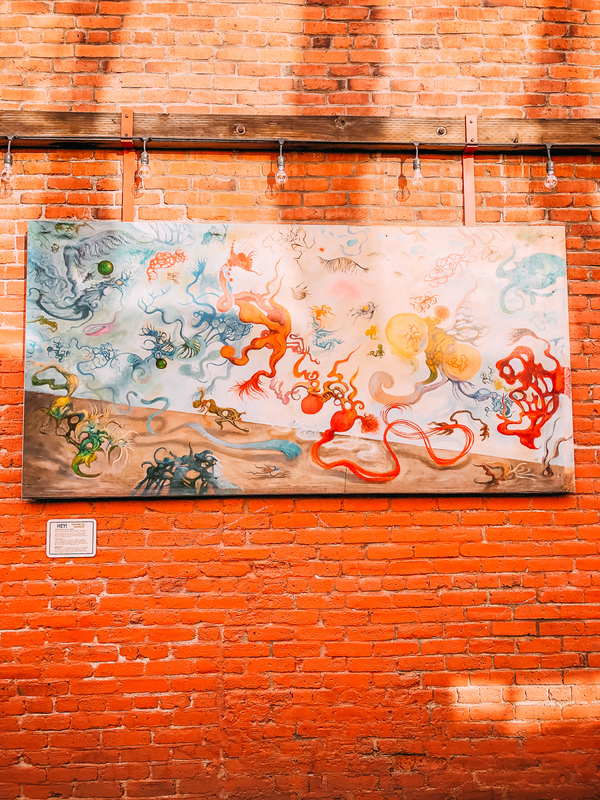 My favorite way to see art in Bend is Tin Pan Alley. 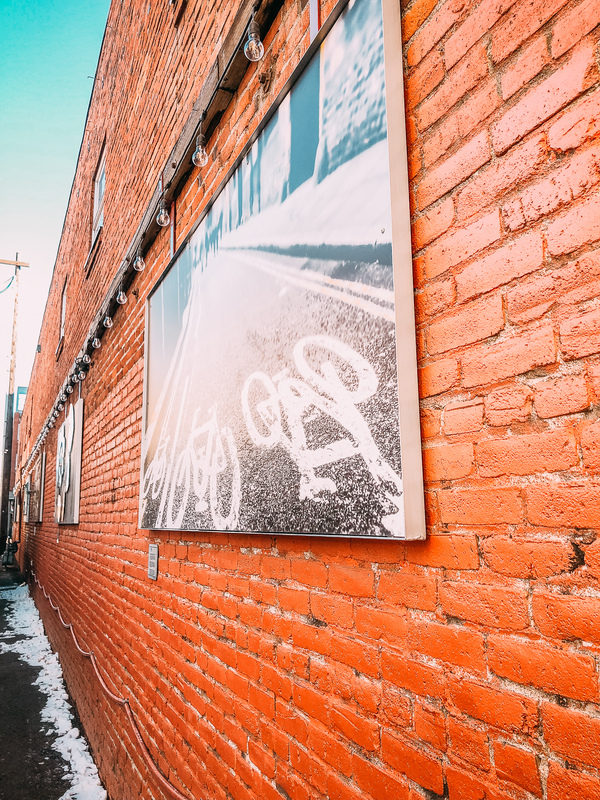 This is exactly what it sounds like, an alley in Downtown Bend filled with local art. You can admire these stunning works of art as you walk to work, grab a coffee, or walk your dog. It makes seeing art part of daily life, instead of only in museums or galleries. Overall, no matter what brings you to Bend, I have a feeling you’re going to love it just as much as I do. It’s charm, hospitality and natural beauty are hard to beat. If you haven’t visited, move it to the top of your list. Thanks again to the Visit Bend team for an amazing weekend! Use this Bend Oregon Travel Guide to help plan your next visit. 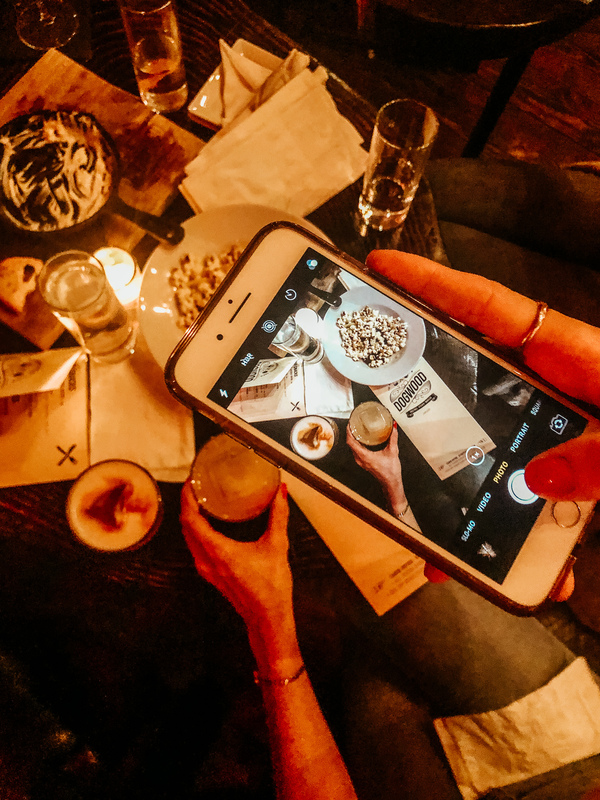 While we were hosted by Visit Bend, the thoughts and opinions in this Bend Oregon travel guide are my own. Looks like a fun trip! Cold, but fun. This is such good information. I especially like the info about the local stores (love anything local, and your pictures are gorgeous. The PNW is one of my favorite places! Well, I’m ready to pack my bags and check it out! Looks like a super beautiful spot with loads of charm – and delicious food! Looks like a you had great trip! I have only visited Portland, but Bend is now on my list! I’ve heard great things about bend! we have family friends that have a home up there but it’s not the easiest to get to from LA where I live. These pictures are gorgeous! Looks like the perfect pace to go in the wintertime. We’re always looking for places to go over Christmas break! 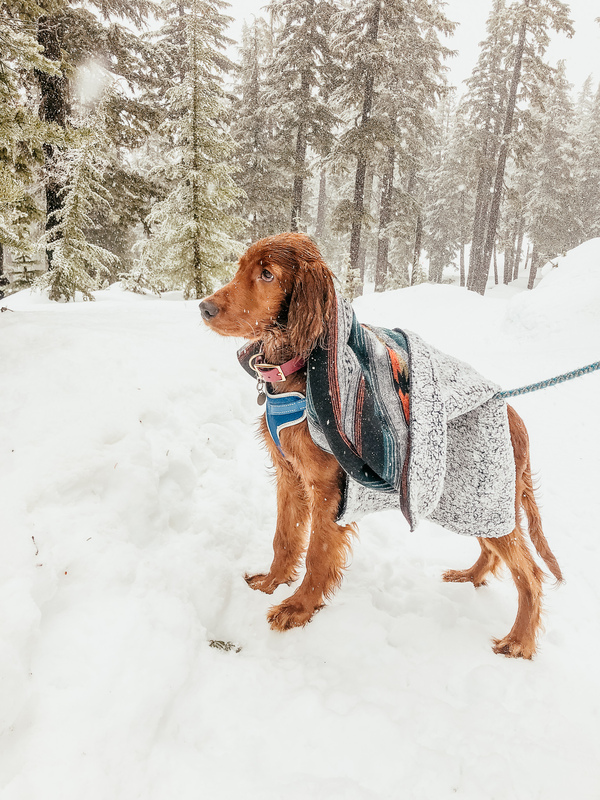 This looks like a gorgeous place to visit and your pup looks like he is having so much fun!! 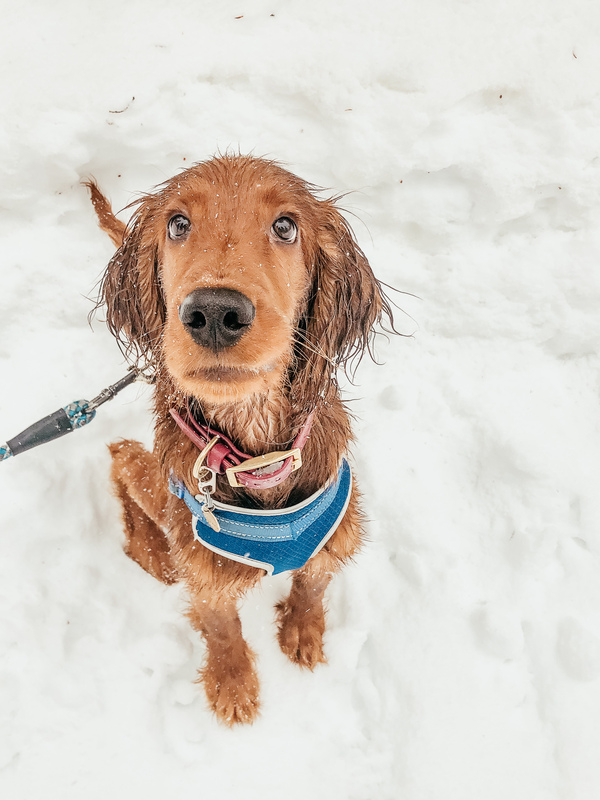 This looks like such a cool place to visit and your pup looks like he is having so much fun! Looks like an incredible time! I would really love to go to Oregon, I’ve never been! Really enjoyed your photography! The food & the Found Natural Goods store sounds & looked amazing! I love Bend, OR. I visited there many times for work. I did not get to enjoy it enough because of work. You post makes me want to go back and enjoy! I have heard such great things about Bend. Great post, super informative! Thanks for sharing! I want to go there just for the Bloody Mary! It looks so good and sounds like a great place to travel. I’ve only ever driven through Bend once and it was years ago, I’d love to go back and visit some of these places!